How confident are you that your employees will know what to do in the event of a fire? Do they understand the different types of combustibles and the hazards involved with incipient stage fires? Are they familiar with the different extinguishing agents and how to effectively operate a fire extinguisher? Fire extinguishers are your first line of defense in fighting incipient stage fires. In most cases, small fires can be extinguished before the activation of automatic sprinkler systems, saving hundreds of thousands of dollars in clean up and lost revenue. Unfortunately, most people are caught unprepared when a fire occurs. We can help! National Fire Fighter Corp. can provide on-site training at your place of business. 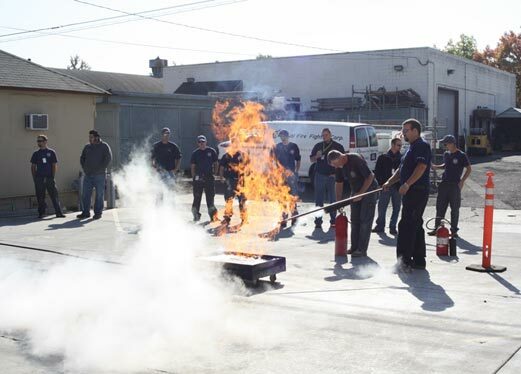 Our exciting, interactive training programs satisfy OSHA's requirements that all employees receive annual educational training on the proper use of fire extinguishers. Call us today for additional details and pricing or to schedule an appointment with one of our certified technicians. It could be the most important business decision you make! Session is at your facility for as many participants as you would like to have involved. Class lasts approximately 30-45 minutes and covers what to do in the event of a fire, types of combustibles, types of extinguishing agents, hazards involved with incipient stage fires and proper extinguisher use. Class will finish with a question and answer session. Our hands-on training is where it gets exciting! We bring the fire to you. The confidence gained by using an extinguisher on a real fire is invaluable. 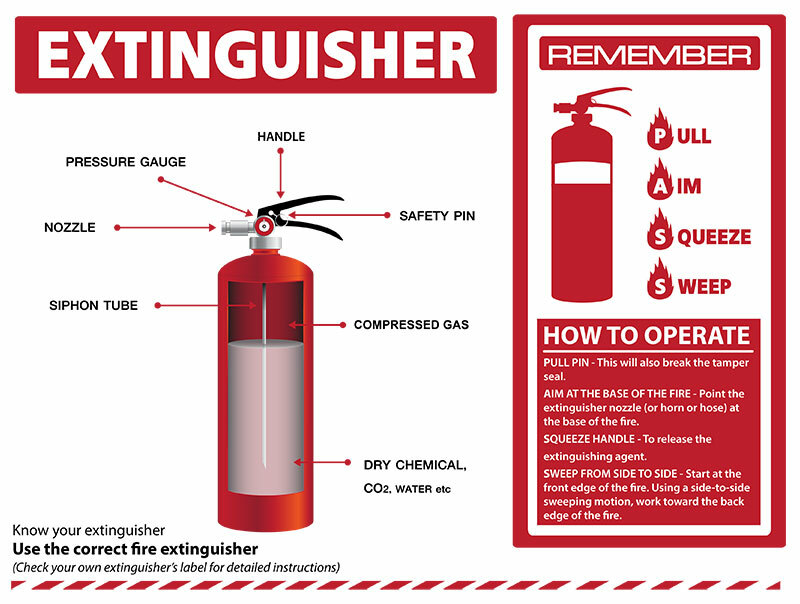 Knowing when to use a fire extinguisher is just as important as knowing when not to use one. This training will give your employees the confidence to make that important decision when it matters most. If you are serious about safety in your workplace and want to ensure that your employees will make wise decisions in an emergency situation, this training session is for you! Technical information from the classroom session is combined with practical hands-on training to create a well- rounded, informative, and exciting class that will not soon be forgotten. *Classroom session includes as many participants as you would like. The hands-on portion includes up to 10 people. An additional fee will be charged for any additional hands-on participants.